In Hickey v The Secretary of State for Work and Pensions  EWCA Civ 851 the Court of Appeal set out, in categorical terms, that parties should comply with the provisions relating to permission to appeal. In particular a party cannot unilaterally add new grounds and simply abandon ground on which permission to appeal was granted. The claimant appealed an Upper Tribunal decision in relation to entitlement to Personal Independence Payments. Permission was given on one narrow ground. However the parties argued the case on a much wider basis. The Court of Appeal was not happy. For the reasons given by my Lord, Coulson LJ, I would dismiss this appeal. I add some observations of my own only because of the unhappy way in which the issues with which he has dealt have come before this court. On 13 June 2016, Upper Tribunal Judge Jacobs granted permission to appeal to this court on one narrow ground, namely that, whilst Judge Humphrey had dealt with the support the appellant received from her friend, Sharron, she had arguably failed to deal with the support she received from her counsellor. That was, as Judge Jacobs understood it, the only ground upon which permission to appeal was sought. It was a discrete and narrow ground. However, when the grounds of appeal were filed with the appellant’s notice on 6 September 2016, the ground for which permission had been given formed just part of one of the three grounds; and the (draft) amended grounds served in December 2016 effectively abandoned the ground for which permission had been granted in favour of the grounds described by Coulson LJ. No formal application to amend the grounds was ever made. This court granted permission to amend during the course of the substantive appeal hearing, because both parties had prepared fully to argue those new grounds; but, as Coulson LJ has described, the result has been that we have considered three points of law which, as hypothetical questions, may be both interesting and potentially challenging, but which do not arise on the facts of the case before us. In my respectful view, it is highly debateable whether permission would have been given for those grounds if, as should have happened, a prompt application to amend had been made and considered in late 2016. This court does not usually grant permission for academic issues which do not arise on the facts of the particular appeal. Whilst it is important that this court – like all other courts – is not a slave to form, the Civil Procedure Rules set out procedural requirements, and not mere aspirations. They do so for good reason. The time of both parties and the court can be wasted if issues are not identified clearly and succinctly in the grounds of appeal, supported by relevant circumstances giving rise to the appeal and the appellant’s arguments or submissions as set out in a skeleton argument. Without such proper focus, it is impossible for appeal courts to deal with their prodigious workloads efficiently and effectively. So far as grounds of appeal are concerned, the requirements of the CPR are clear. i) For an appeal, permission is generally required from either the court which made the decision to be appealed or the appeal court itself (CPR rule 52.3(1), which also sets out various exceptions to the requirement for permission). Permission can be sought from either court (CPR rule 52.3(2)). ii) An appeal is instigated by lodging an appellant’s notice with the appeal court. Where the appellant requires permission in respect of some or all of the grounds upon which he proposes to rely, he must seek permission in the appellant’s notice (CPR rule 52.12(1)). See also CPR PD 52C para 5(1) to the same effect. (Parties are required to comply with each of the CPR Part 52 practice directions (CPR rule 52.2).) This requirement for particularisation of grounds of appeal reflects the fact that an appeal will be allowed where – and only where – the decision of the lower court was (a) wrong or (b) unjust because of a serious procedural or other irregularity in the proceedings of the lower court (CPR rule 52.21(3)). In practical terms, the obligation is enforced by a requirement that, except for appeals from a small claim or appeals for the Family Division of the High Court, appellant’s notices must be in Form N161, section 6 of which requires grounds of appeal to be filed in accordance with those paragraphs of the practice directions. The grounds of appeal, although required to be on a separate sheet of paper, are therefore an inherent part of the appellant’s notice. iv) Therefore, in respect of each way in which it is said that the decision below is wrong or unjust, the grounds of appeal must address, clearly and concisely, the relevant part of the decision and the way in which it is said to be wrong or unjust. The reasons why it is said the decision is wrong or unjust must not be included in the grounds, and must be confined to the skeleton argument (CPR PD 52C para 5(2)). v) The appeal court’s jurisdiction is constrained by the scope of the grounds of appeal and of the permission that has been granted (Gover v Propertycare Limited  EWCA Civ 286;  ICR 1073). vi) Therefore, where an appellant who has obtained permission to appeal wishes to rely upon a ground of appeal for which he has not previously sought permission to appeal, he must seek permission to amend his grounds of appeal under CPR rule 52.17. “(1) An appeal notice may not be amended without the permission of the court. That provision appears to be based on the premise that, once permission has been granted (and any remaining original grounds of appeal rejected), any proposed amendments are likely to be modest and can therefore sensibly be left to the appeal hearing itself. 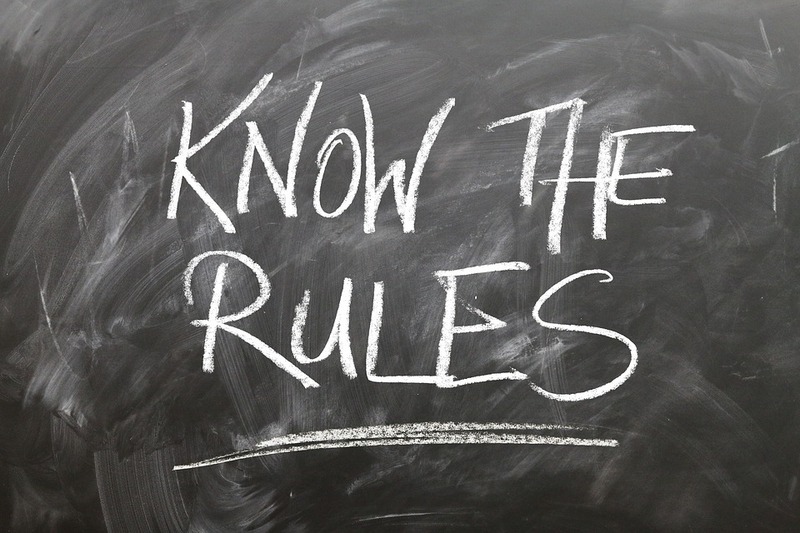 However, that supposition does not detract from the requirement that an appellant who has obtained permission to appeal and wishes to add to or otherwise amend his grounds must make a formal application to do so under CPR rule 52.17, as soon as he reasonably can. Grounds of appeal cannot be covertly amended, for example by including changes to them in the skeleton argument. Such an application – and any response by the respondent – will be considered by a master or a single judge, who will determine whether the application can properly be left to the constitution hearing the appeal or whether it should be dealt with prior to the hearing. If the latter, the application will usually be dealt with on the papers without an oral hearing, unless the judge considers that it cannot be dealt with properly and justly without a hearing. Compliance with the rules will ensure that appeal hearings are properly focused, as they must be. Although of course the merits of an application to amend grounds of appeal will necessarily be fact-specific, where an appellant proposes substantial changes to the grounds of appeal from those upon which he has obtained permission to appeal but has made no application – or no reasonably prompt application – to amend, he should not expect an appeal court to be sympathetic. Appeal courts have a variety of sanctions at their command should a party fail to comply with important mandatory procedural rules that apply to appeals.